27 years after Jake and Elwood did it, somebody has finally acted out in real life the mall scene from The Blues Brothers. 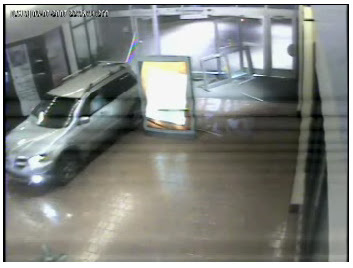 Stephen Lowe of Augusta, Georgia drove his SUV plum through the glass doors of the Augusta Mall and drove all over the place inside the mall. He even did Jake and Elwood one better: Lowe drove on the top floor of the mall. See some amazing footage of his rampage here and here. It must be reported though that Lowe's career ended spectacularly short of that of the Blues Brothers, as he was apprehended outside the mall soon after.